If no data is shared, 0 will be returned. Definition at line 47 of file stream-tcp-inline.c. References BUG_ON, Packet_::payload, Packet_::payload_len, TcpStream_::sb, TcpSegment::sbseg, SCEnter, SCLogDebug, SCMemcmp, SCReturnInt, seq, TcpSegment::seq, SEQ_EQ, SEQ_GT, SEQ_LT, StreamingBufferSegmentGetData(), and TCP_GET_SEQ. What about unwrapped tunnel packets? 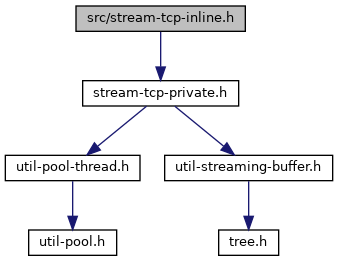 Definition at line 112 of file stream-tcp-inline.c. References BUG_ON, Packet_::flags, Packet_::payload, Packet_::payload_len, PKT_STREAM_MODIFIED, TcpStream_::sb, TcpSegment::sbseg, SCEnter, SCLogDebug, SCReturn, seq, TcpSegment::seq, SEQ_GT, SEQ_LT, StreamingBufferSegmentGetData(), TCP_GET_SEQ, and TCP_SEG_LEN.